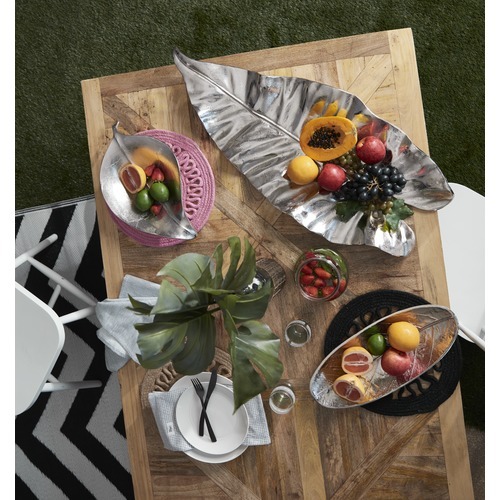 Our new range of Palm leaf centre pieces are perfect to create a tropical setting in any home. Hand made and carefully sand casted into the shape of a tropical palm leaf these centrepieces come in 3 sizes: Large 89x38cm, Medium 63x29cm Small 39x18cm. The small and medium sizes are perfect to use on hallway consoles to hold keys and loose change, with the larger ones more suitable as a dining table centre piece. All are suitable to be used as decorative wall pieces using suitable wall brackets. Available in 2 metallic finishes. 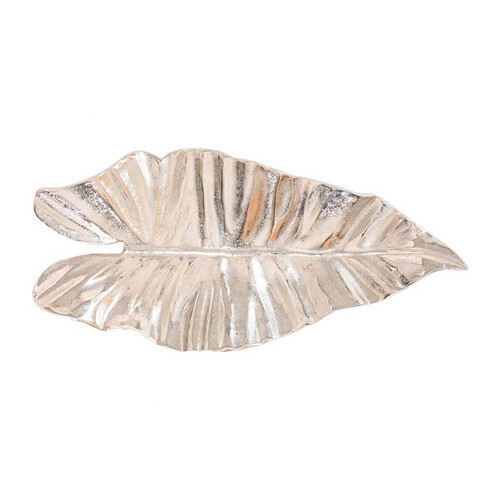 When you buy a Medium Nickel Leaf Centrepiece online from Temple & Webster in Australia, we make it as easy as possible for you to find out when your product will be delivered to your home in Melbourne, Sydney or any major city. You can check on a delivery estimate for the J.Elliot Part #: 9082908850875098 here. If you have any questions about your purchase or any other Statues & Ornaments product for sale our customer service representatives are available to help.Whether you just want to buy a Medium Nickel Leaf Centrepiece or shop for your entire home, Temple & Webster has a zillion things home. Another Christmas gift that was well received! This table centrepiece is perfect. I have purchased a new dining room table and have been looking for an item to place on the centre of the table. This nickel leaf is just the right item. It looks terrific and adds a stylish finish to the decor. Very, very happy with this purchase and am delighted with the service from Temple & Webster. It could not be any better.